In 2011, Amanda and Robert Phelps launched Forever Savvy, which has become a very successful community project. Their son, Jacob, has Down Syndrome, and the family were determined to provide an interesting and stimulating future for him. As business entrepreneurs and proud parents of three, Amanda and Robert had a vision to create outdoor education centres for adults with learning disabilities across the UK. 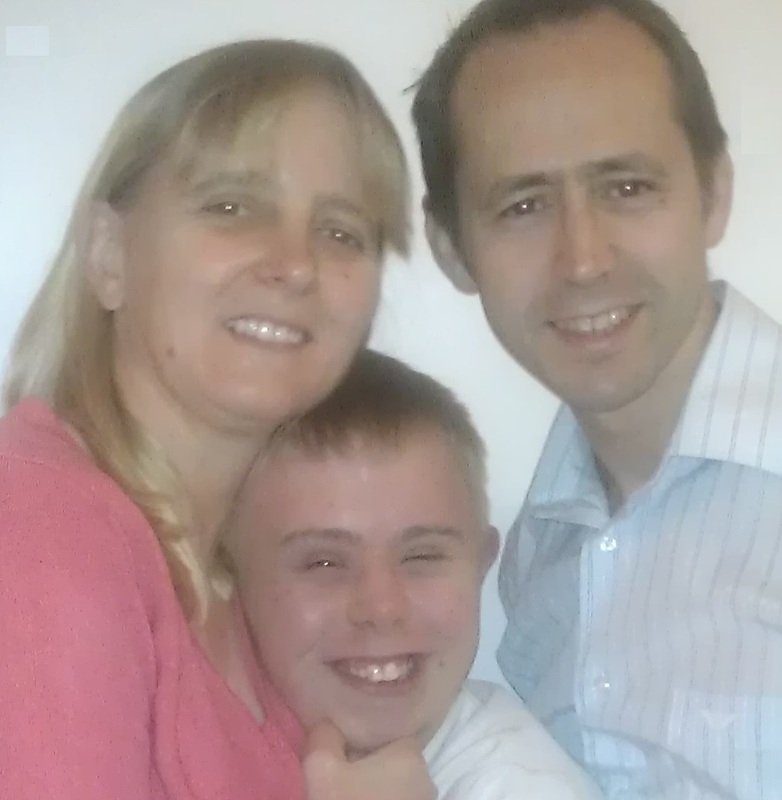 With limited employment and educational places available for adults with learning disabilities in the UK, and with 90% of Professional staff from Health & Adult Social Care* agreeing there is no adequate provision for this client group, this project became essential for the family to secure Jacob’s future. When their son, Jacob, left standard education aged 19, Amanda and Robert were disillusioned with the opportunities on offer, as many of the part-time college placements were indoors. They saw a clear challenge when it came to providing Jacob with a fulfilling and interesting job for life, where he could gain the confidence and knowledge to help him transition into adulthood. Ultimately, they wanted Jacob to become more independent. As the family already owned two rescue horses, they decided to rent eight acres of land and create a purposeful and challenging job for Jacob. The role had responsibilities and skills that would give him a reason to get out of bed each day. When it came to getting the site ready for Jacob, everyone was involved - from grandparents to brothers to close friends. 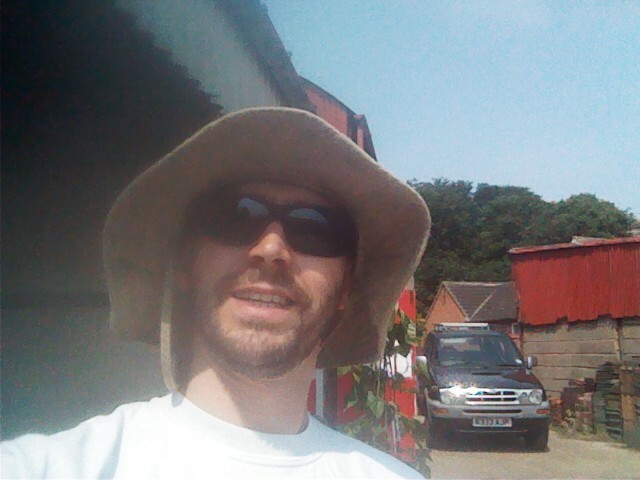 The paddock and surrounding grounds needed to be made safe, storage needed to be created, as well as an indoor work area. As the project progressed, Amanda and Rob realised that the role they had created for Jacob would also be suitable for other adults with learning disabilities. 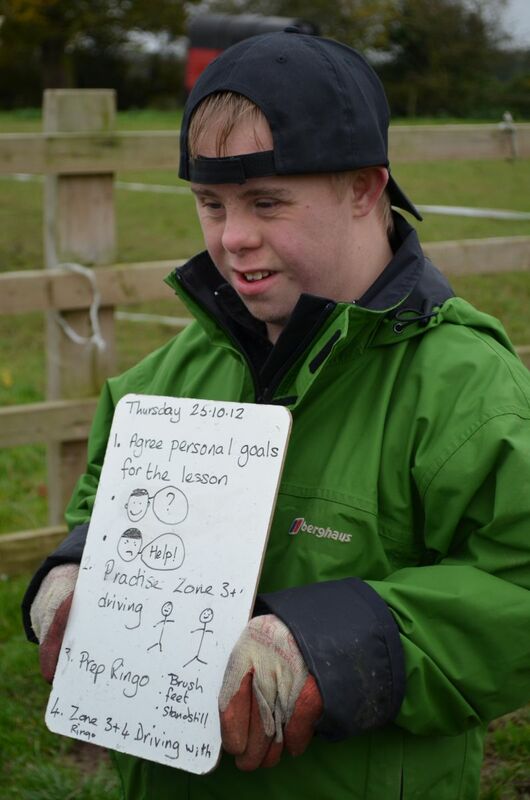 Therefore, Forever Savvy initially created eight places alongside Jacob to experience a healthy, outdoor equineassisted learning programme. Fellow attendees started learning skills relating to land management, animal welfare, Parelli horse whispering techniques, gardening, basic catering and woodwork. As well as offering vocational opportunities, Forever Savvy provides much-needed respite and relief for parents and carers. It also serves as an access point for young adults to use their Personal Budget and improve their skill set. 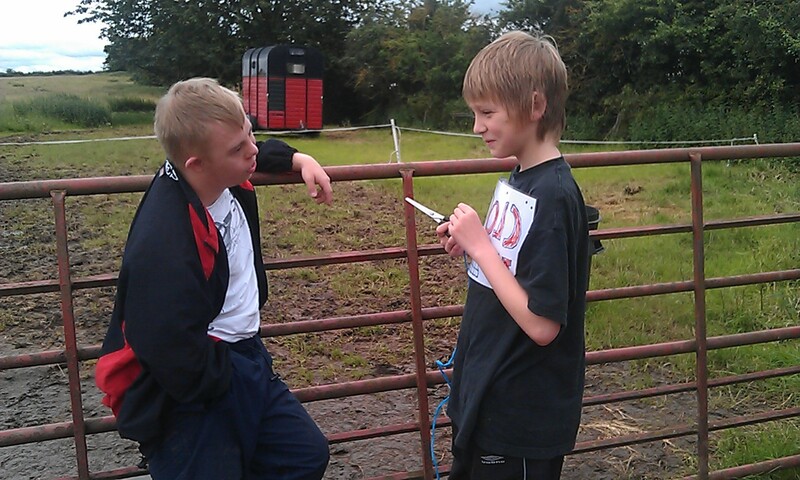 Forever Savvy family carried out a survey of members of the Leicestershire Down Syndrome Support Group. The results revealed 99% of respondents would enrol their child if places were available. 1996 – The Phelps' set up their first IT business called Specnet Ltd. Little did they know that the future sale of this successful business would help to secure the future of Forever Savvy. 1992 - Jacob, their first son, was born with Down Syndrome and a congenital heart condition that required lifesaving surgery. Amanda and Robert thought their world had ended, but decades later this experience kickstarted an amazing journey. 1994 - Morgan, their second son, was born healthy, giving them the confidence that they could have a normal life and when their third healthy son Duncan was born in 1999 – the family was complete! 2006 – the Phelps formed their second business, Leicester Jujitsu. As busy parents, both black belts and qualified martial arts instructors, this business enabled them to participate in a sport, which all the family enjoyed. 2011 - launching their third business, the Phelps began building a distribution network showcasing the health benefits of natural Forever Living products. In this same year, the family launched Forever Savvy as a ‘not-for-profit’ business, opening its first Forever Savvy centre in Thurlaston, Leicestershire. Supported by The Big Society Grant Fund from Leicestershire County Council, they could improve facilities and offer more life-long places to local people. With the help of a number of volunteers and regular local fundraising events, the family also used profits from their Forever Living Ltd business to support Forever Savvy. 2012 – the sale of Specnet Ltd. secured the future of Forever Savvy, which has now grown into a successful social enterprise. 2015 – in May, Horse Savvy outgrew its original venue in Thurlaston and moved to larger premises at Potters Marston. By July, K9 Savvy opened in Bagworth. 2016 – in January, Café Savvy opened in Bagworth. 2018 – Work Savvy succeeded in securing paid work for four trainees and one trainee in a voluntary role. The synergy between the Forever Living business and the Forever Savvy community project means the business now revolves around the home and family life, giving Amanda, Rob and their family a work-life balance that meets all their needs. 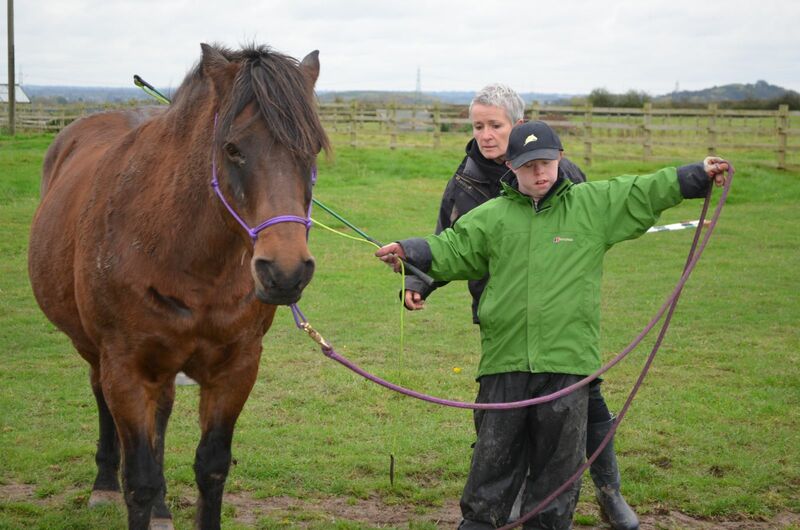 With the four main community projects growing at a steady pace – Horse Savvy, K9 Savvy, Café Savvy and Work Savvy – Forever Savvy is expanding across Leicestershire. The long-term vision of Forever Savvy as a Social Enterprise is to roll out the concept across the UK within the next 10 years.